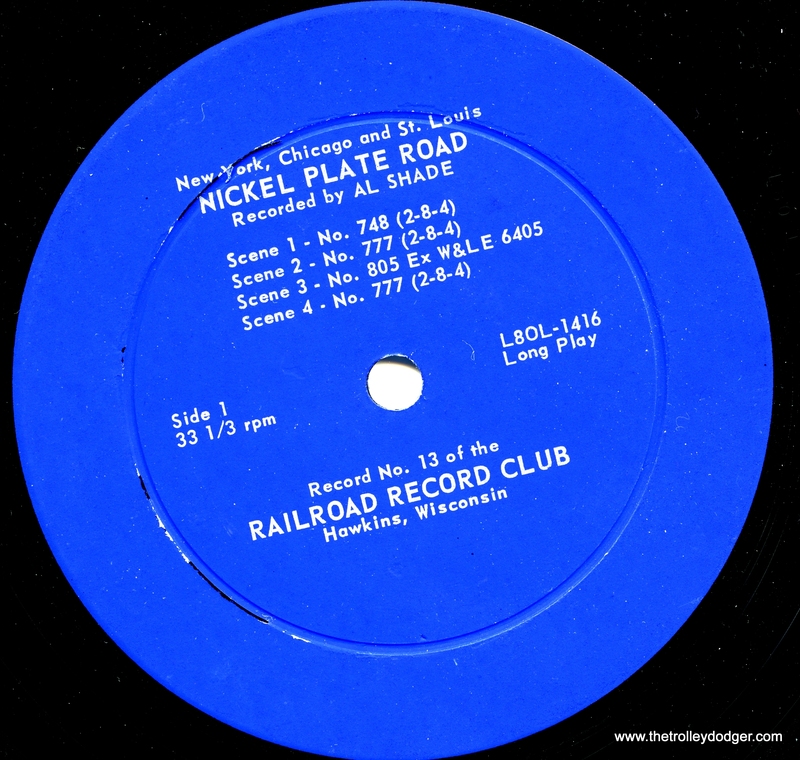 Railroad Record Club disc #13. FYI, we now have an online store, where you can purchase historic railfan audio recordings on compact discs. We will update our catalog as additional titles become available, and you can also find our online store via a link on our home page. We can accept orders for both US and international shipment. Payment can be made via PayPal, or credit and debit cards. Credit card processing is done via a secure third-party vendor and you will not be sharing any of your credit card information with us. You can now also make a donation towards keeping this website going, and help us continue to offer you the finest historic railfan photographs available, and the important research we are doing. We thank you in advance for your purchases and your support. If you prefer to pay by check sent through the mail, drop us a line and we will give you the particulars. Please note that Illinois residents must pay 9.25% sale tax on their purchases. The Trolley Dodger is making some historic public domain audio recordings available once again, digitally remastered to compact discs. All recordings are new digital transfers made in 2015 using the newest and most advanced technology. These “orphan works” were originally issued on vinyl in the 1950s and 1960s and have been out of print for a long time. These prices include shipping within the United States. If you need international shipping, there is an additional $5 charge per order that you can add to your shopping cart using one of the buttons below. You can find detailed information on each RRC recording via our discography. Most single discs include approximately 60 minutes of hi-fi audio. Orders will be shipped by either USPS First Class or Media Mail. All items on this list are in stock and available for immediate shipment. A copy of the original liner notes for each record will be enclosed. This recording is being offered at a reduced price since it is only about 30 minutes long. We expect to pair it up with an additional recording in the future. 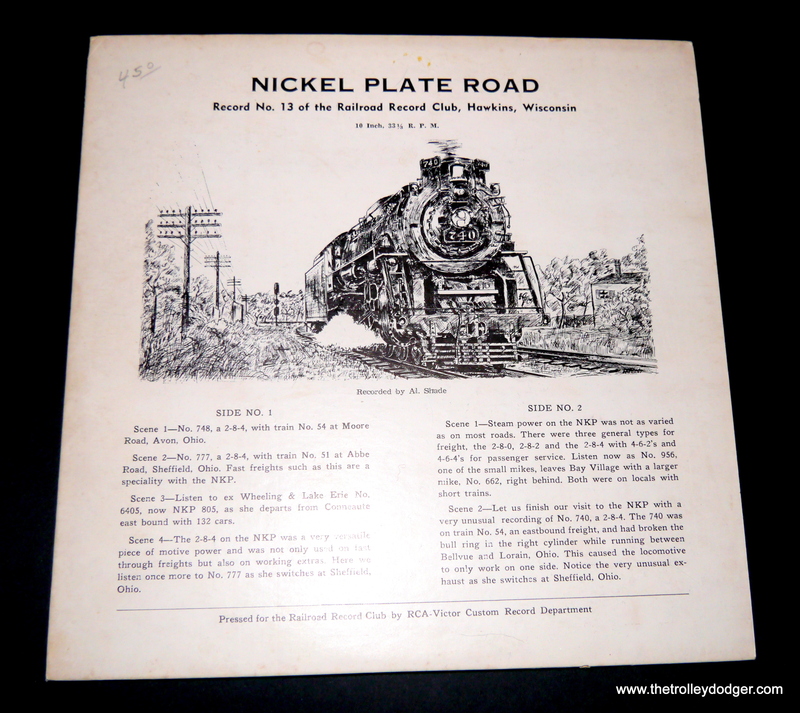 This two-disc set contains about 90 minutes of audio and documents an entire 1962 trip on the South Shore Line between Chicago and South Bend. Interurban Memories includes approximately 46 minutes of hi-fi audio of the Pacific Electric and the North Shore Line in their twilight years 1959-1960. This was originally issued on LP by a record company that has long been out of business. For use on orders that will be shipped outside the United States. Orders will be shipped via USPS First Class International. We’re there any recordings of the L? I also wonder if there were recordings of MP-54’s, both of the PRR and LIRR, the NYC and prewar NH EMU’s, Boston’s prewar rapid transit, and, as a personal desire, the Market Street and Frankford Elevated trains? 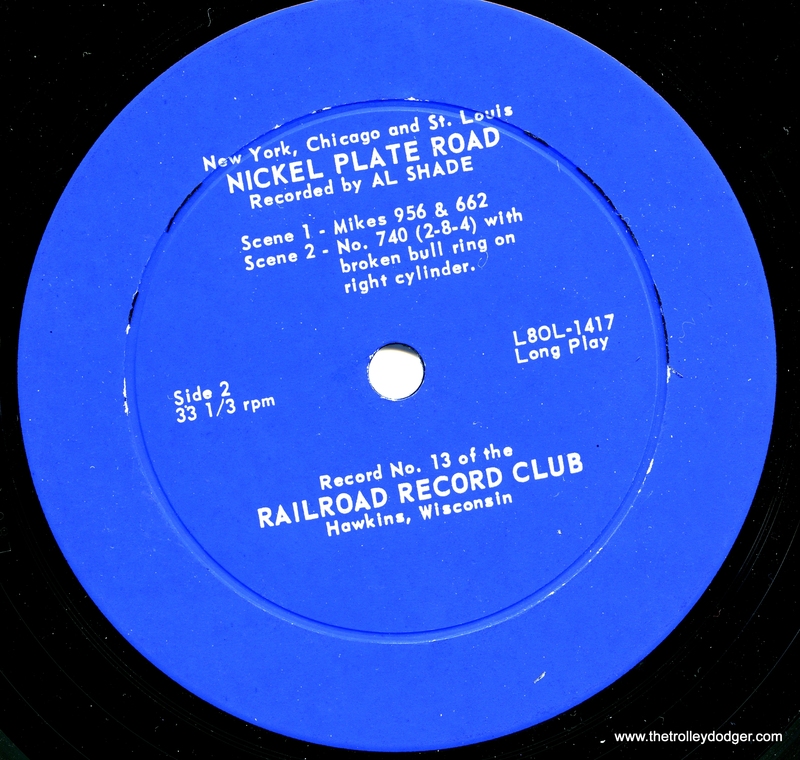 There are recordings of the CTA Garfield Park “L” on RRC LP #36, which we have paired with #35 on CD. It starts out on the Loop “L” and heads west onto the Van Buren Street temporary trackage. As for other recordings, new things continue to surface, but we’ll just have to see what develops. There is a lot less traction audio than steam, thanks.